Starring: Andrew Garfield (The Social Network), Emma Stone (Easy A), and Rhys Ifans (Notting Hill). As you may remember, I am a huge Spider-Man fan and have been waiting for this film for some time. 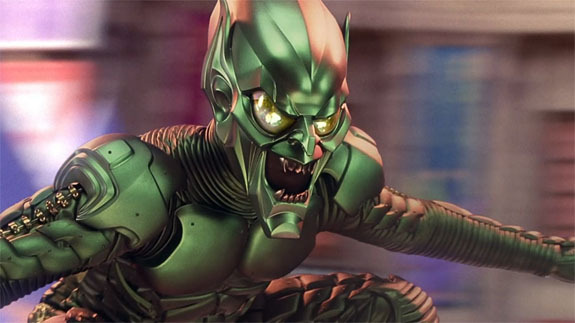 Upon hearing the news of the “reboot”, I composed an article defending the need for it and what I hoped to see in contrast to the “Raimi-ology” that began with good intentions. While this version is another retelling of the origin story we already know, the familiarity of the sequence of events allows for more concentration on the development of reasons and results, which makes THIS superhero origin story one definitely worth watching! 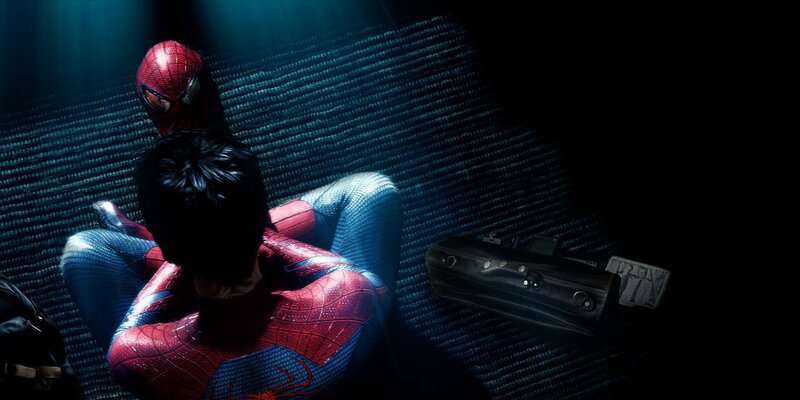 Here is my take on Marc Webb’s presentation of Marvel’s most popular superhero: The Amazing Spider-man. With a beginning that starts off with more questions than answers, this film begins in almost the same tone as which it ends. 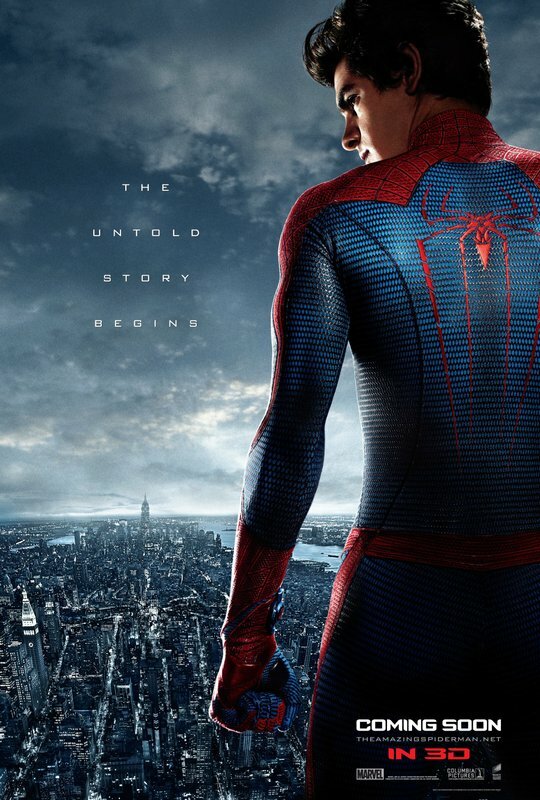 Which is good in this case of the “same ol’ story retold.” The tagline of “the untold story” carries the tone throughout the film as we follow Peter Parker (orphan, nephew, nerd, highschooler, geek) who stumbles upon an old briefcase of his father’s which holds more secrets and possibilities than he ever imagined. Along the way in his search for answers, Peter discovers more about his father, his uncle, a friend, a teacher, and himself that, when all put together, is nothing short of amazing. What a great cast that Webb assembled for this film. Having to fight an uphill battle to be accepted as some of these iconic characters in the shadow of those who did some amazing jobs in Raimi’s trilogy was not an easy feat. Take a look at who did what. 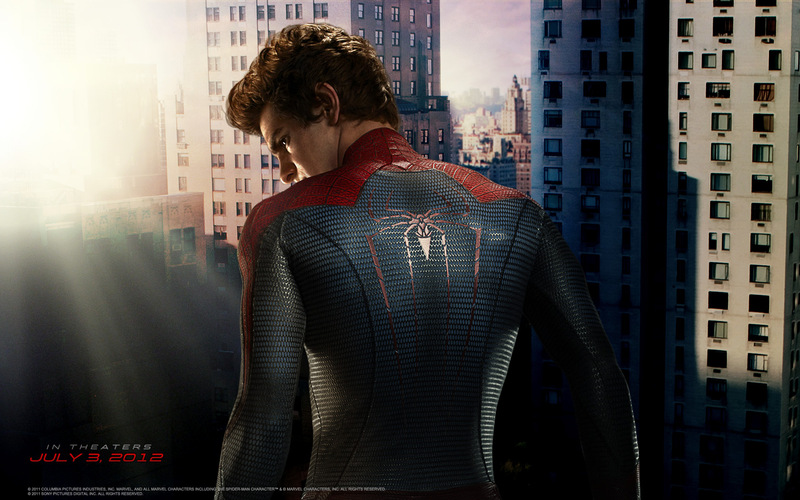 Andrew Garfield (Yes, he’s British playing an American hero! I know. Get used to it. So’s the new Superman.). What a great performance as the nerdy Peter Parker and sarcastic Spider-Man. Perfect casting for sure! Emma Stone gave us our first real view at Gwen Stacy with a performance that continues to show her versatility and ability as an actress. Both she and Andrew Garfield embodied the lives of the characters and their chemistry together onscreen: REAL. Martin Sheen and Sally Field as Uncle Ben and Aunt May were only “so-so”, but they weren’t bad. (Time has not been good to Sally Field). 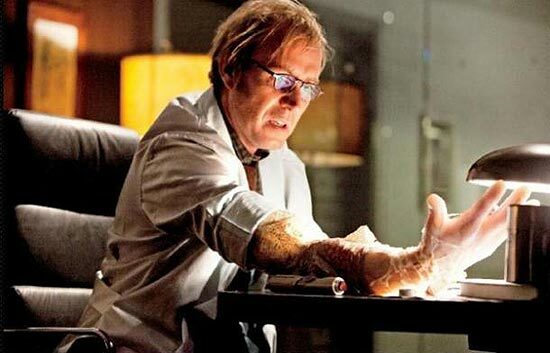 Rhys Ifans as the tortured soul who ended up the unintentional villain, The Lizard/Dr. Curt Connors, was ideal in his role. 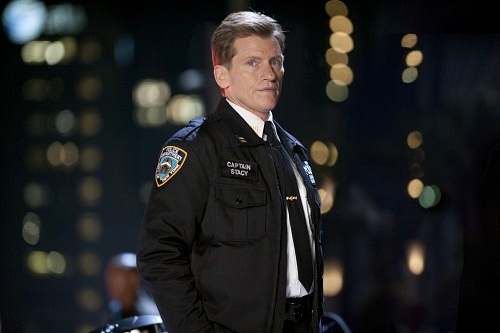 Denis Leary as Captain Stacy. Cold, protective, rough. Yep, Great casting there! Casting was definitely a strong suit in this film! It all remained highly believable which made accepting a “reboot” even better! The technology: 3D and CGI. Super impressive usage of 3D. Webslinging through NYC has never looked so amazing! and The Lizard looked fantastic. The separation from the “Raimi-ology”: Though there is some funny dialogue, it’s not as corny as lines like: “It’s you who’s out Gobby…out of your mind!” from Spider-Man. Though, I would say there wasn’t enough of the witty banter. (And no Bruce Campbell…sorry). The mention and use of other important characters/buildings/publications/technologies that are necessary in establishing the Marvel world of Spider-Man. The classic shots: Several iconic poses for the webcrawler that will be recognized by Spider-man fans. Some Spider-Man fans who follow the character will find some elements of disappoint. Some of the complaints of Raimi’s trilogy will be mirrored here as a few liberties are taken in the storyline in relation to the lore of our hero in the comics. Being a film that marketed itself as being closer to the actual Spider-man story than the Raimi-ology, it stays true to that claim…only not as much as anticipated. But, hey! At least we finally got real webshooters! 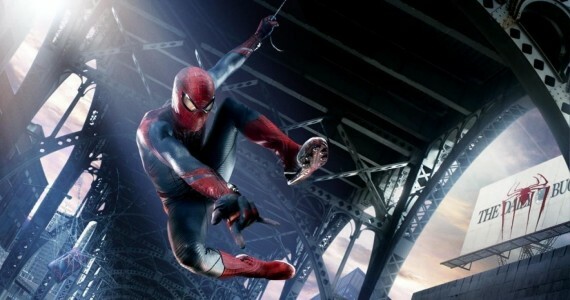 With a surprisingly forgettable musical score by James Horner (Avatar, Titanic), I was also disappointed to feel little sense of excitement inspired by the music and no newly invented theme for Spider-man. (???) It really is a rather boring musical score for such an exciting and worthy hero as SPIDER-MAN. In all fairness, allow me to rephrase that: In a lot of the scenes, the music didn’t really garner the emotion I felt that the images wished to portray. But that’s me. It is true, that this film seems to chase several different subplots and ideas without complete resolution of them all, but the main focus of this film is the character and his development which is appreciated and very well shown. The best presentation of Peter Parker and his growth into Spider-man to date! All in all, a great superhero movie (for those of you who aren’t tired of seeing so many of them by now). Ending with more questions that beg to be carried through the sequels, it is interesting to see what Webb places in this movie that leave more for films to come and I am excited to see what’s next. The Amazing Spider-Man: A fantastic re-introduction and a rather engaging way to present an all-too-well-known story in a way that entertains, pleases, and intrigues. The character connections, the quiet and small interactions that speak ever so loudly, the inner strength and resolve within the hero…it is all told and shown in style and respect to the character Stan Lee co-created so long ago. (BTW, be on the lookout for his fun cameo). Should you see The Amazing Spider-Man? And should you see it in 3D? The answer to both questions is YES. It is pretty…Amazing! Previous Switching It Up…just a tad! Nice review T., I think this is a rental for me. I don’t need to see another origin story of Spiderman. Funny you mention the forgettable score of these Spidey films, in fact I think none of the Marvel films has memorable themes. Out of all of them I think Thor’s score was the best, let’s hope they bring back Patrick Doyle to compose the sequel. a rental? booooo. I must say that I am most jealous of you having an IMAX so close, and am also a little disappointed that you won’t take the chance to see this movie in IMAX! I would LOVE to be seeing Spider-Man on the IMAX theater. There, for sure, can be almost no cooler way to do so. What, with the 3D technology they used, webslinging through NYC, and more. for shame, I say…shame! ha. Phew! Glad to hear a more positive review! Haven’t heard much praise so far! It’s good! Coming from a BIG Spider-Man fan. Wonderful review!! I love this: “Yes, he’s British playing an American hero! I know. Get used to it. So’s the new Superman!” Well you certainly won’t hear any complaints from me, I LOVE both Garfield AND Henry Cavill and so what if they’re not American, I mean Superman is Kryptonian anyway, ahah. Now, last nite I was mulling over this movie and I had decided to give it the same rating as you. It could’ve been 4.5/5 if the editing had been much tighter and I also had some other issues w/ it. Yeah, the music is nothing special at all, I mean I was surprised to see it was James Horner as it didn’t seem to have his ‘signature’ style but all around it was just meh. But you’re right, the lead actors did NOT disappoint. I’ve always loved Andrew’s performance (I’ve seen him in 5 movies now) and both he and Emma Stone just have such screen charisma and inherent likability. Nice review man, glad you enjoyed this one! Thank you for the kind comments here Ruth. I was so disappointed in the score. Can’t even remember any of the music right now. boo to that. LOL. I knew you would enjoy Garfield’s performance. He did so well. I approve! Still dont see how the origin was much different than the first movie’s, but that’s a minor point. not a “hater” of the first trilogy so much as a hater of some of the things Raimi did that ruined several storylines and possibilities. ha. I’m still a fan. Spider-Man 1 and 2 are faves of mine and I have watched them numerous times. Just…arrrgghhh. So many things Raimi did WRONG. Like introducing MJ first and using the iconic death of Gwen Stacy scene to make Spidey choose between MJ and a bunch of schoolkids. Once he went a certain direction, there was no going back. I really did enjoy The Amazing Spider-Man so much and was glad to see you did too. Great review. Completely in agreement about the score. What a disappointment. There were a couple of scenes where I was actually crying out for the score to just be quiet and let the scene do the talking. Gave it a listen yesterday and still didn’t do anything for me. What I don’t get is the whole “untold story” tag line the trailers and posters are all parading around. I honestly didn’t see anything “untold” in this film. Unless you count the small amount with his parents. 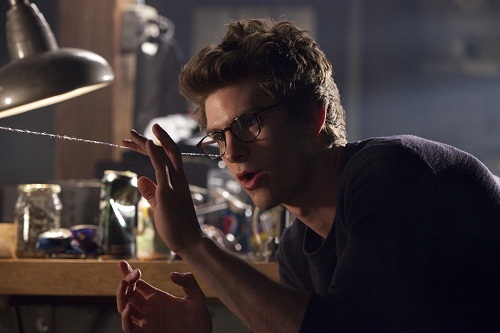 I swear there was a trailer hinting at the fact that maybe Peter Parker had been engineered by his father to be genetically able to take on the Spider gene. maybe I’m thinking too much! I did love the film, gave it the same score as you! Garfield, Stone, Leary, Sheen, Field, Ifans all sold it for me. The score was such a big letdown. Boooo. ha, well, the untold story still was pretty useful in marketing and it did show a lot more of the “WHY” he became Spider-Man. I enjoyed quite a bit. check out mine when you get round to it. Thanks Tim. I will be sure to do so. Glad you liked it so well too! I agree with Emma Stone. She’s one of the best new actresses out there for sure. She has a lot of charisma, and I felt myself looking forward to her scenes to break the monotony. Ooooohhhh Brother!!! Lol…I can really imagine the comment you left me! Ahahahhahaha! We did not agree on this one on a number of points. First I will say that I agree with you about the casting. I thought the cast was better for this story than the previous actors/actresses…and leave Sally Fields alone….She’s old, but still looks Gidgetty…I love her…lol. Unfortunately the cast is the only thing I can agree with you on. The 3D effects were not worth the money. Me and another patron sitting next to me watched most of the movie with the glasses on our heads instead of on our faces. Like I said in my review this movie was more theatrical than Amazing. There was nothing special about this movie to make me want to sit through this story again. I am over this story…and The Amazing Spider Man just put the nail in the coffin. I know Spidey is your thing, but I just can’t ride with your thoughts on this one. This movie was just blah, and I wanted it to be great! I got ur comment. It was in my spam. I replied to it…lol. I can totally understand why ur comment was placed in my junk box, because it was total garbage! Lol…it was delivered to the perfect spot…ha!